Join Us in Miami for eMerge Americas! The Comcast NBCUniversal LIFT Labs team is heading to the eMerge Americas conference April 23-24, 2018 in Miami to connect and engage with global startups at one of America’s premier technology conferences. eMerge Americas is an unparalleled event connecting tech leaders, global enterprises, startup innovators, and government leaders from Latin America, North America, and Europe. eMerge gathers the brightest minds in tech to discuss how the digital revolution is impacting companies, economies, and society in the Americas. LIFT Labs will be alongside CNBC and Telemundo at the conference to help founders find their voice through the popular LIFT Labs Pitch Elevator. 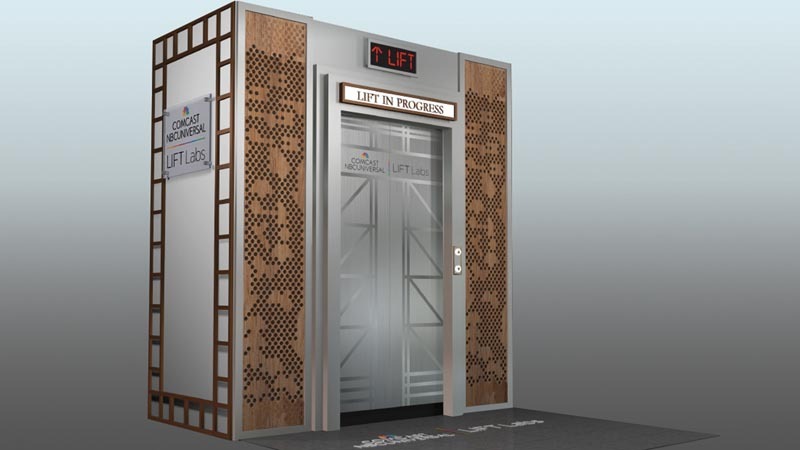 The elevator will be making its second stop on a nationwide tour at eMerge Americas. The interactive, life-sized elevator encourages founders to perfect their pitch on video and share it on social media to trumpet their incredible startup stories. Pitch Elevator participants can also sign up for a one-on-one pitch coach session with a Comcast NBCUniversal startup expert from 1:00 p.m. to 3:00 p.m. on both April 23rd and 24th. Additionally, Gil Beyda, Managing Director of Comcast Ventures, will be judging a startup competition and holding mentoring sessions with founders. eMerge America taps into Miami’s incredibly diverse technology and entertainment industries, and prominently features women startup experts both in the conference lineup and within eMerge America’s own leadership. Buy your tickets to eMerge America today to be a part of this incredible experience and meet the Comcast NBCUniversal LIFT Labs team.